You are browsing the Blog for Red-tailed Hawk. The Red-tailed continues to incubate the eggs. incubation period expected to last 28-32 days! 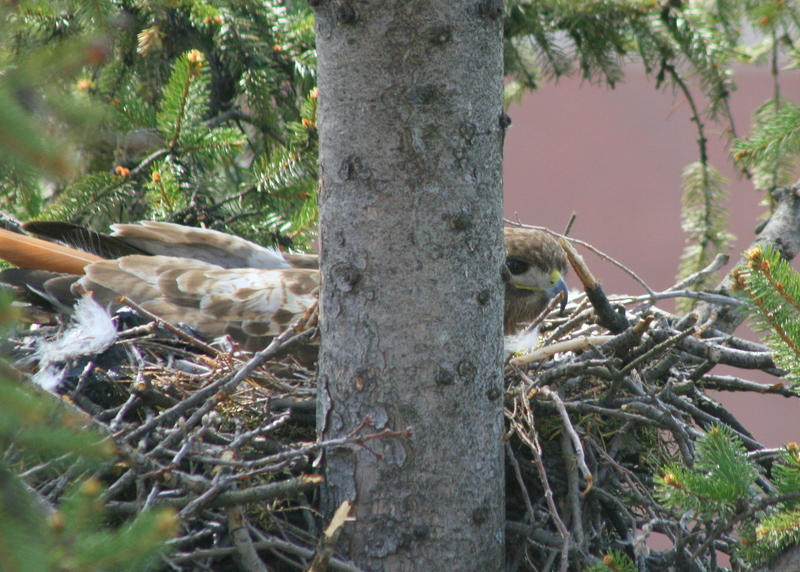 Red-tailed Hawk female incubating eggs on nest near Lawrence General Hospital. The female has been consistently on the eggs with relief provided by the male for short times during the day. The hatch date is projected to happen around the last week of April. 3 Photos posted: http://www.pbase.com/birdshots/2013redtailedhawk Click “next” in upper right corner to advance frames! 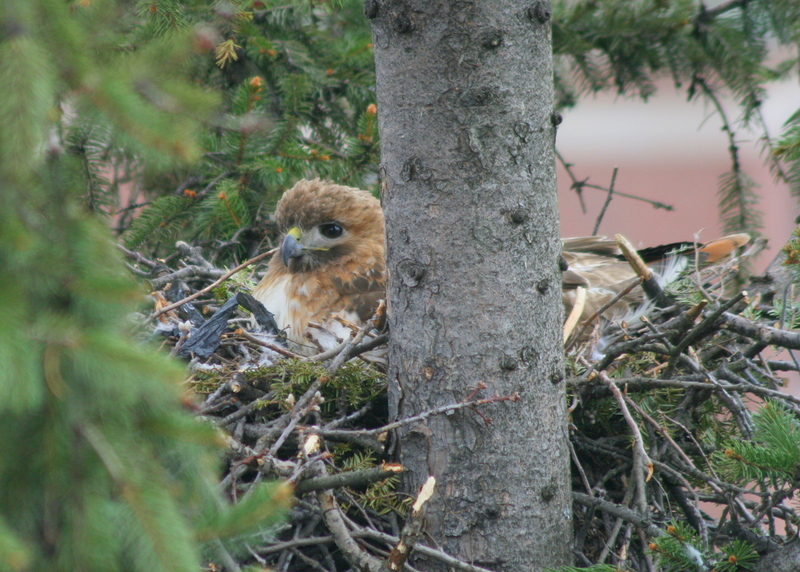 Red-tailed Hawks make nest at Lawrence General Hospital! 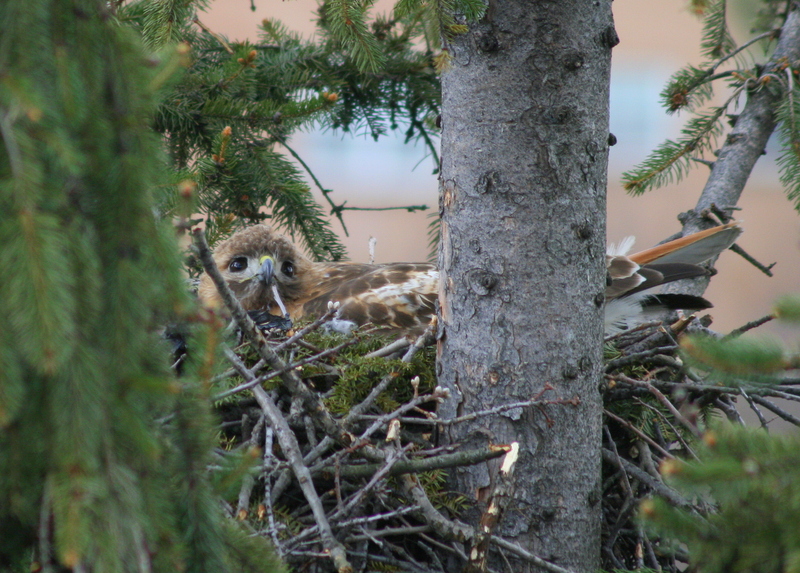 A pair of Red-tailed Hawks have returned to an old nest located on the grounds of Lawrence General Hospital. The nest has been occupied before but not last year. Recently, nest building activity has been noticed with fresh green twigs placed around the nest perimeter. Staff members in nearby offices have marked March 26, as the date of the initial egg being laid. The nest is being monitored daily with hopes of a productive breeding season!